The Youth Violence Commission launch event was an opportunity to gain a better understanding of how violence manifests in young lives, its drivers and how we can work together to stop gang-related violence. Nicky Hill studied a Postgraduate Certificate in Leadership and Management at London South Bank University (LSBU), a bespoke and innovative course developed by LSBU in partnership with London Housing Foundation (LHF). Nicky uses her extensive experience as a practitioner and programme manager to help deliver the group's aim. Nicky said, “I am excited to be the Programme Director of the Youth Violence Commission as I passionately believe a new approach, rooted in community and young people's experiences, is needed to address the violence across the UK. We’re exploring the causes of violence and not just the symptoms, and want to create a more positive future for the amazing young people of the UK and the next generations." The launch proceeded with speakers offering a perspective on youth violence and the current disconnect between experience and policy. Paul Ivey, Pro Vice Chancellor of Research and External Engagement at LSBU, provided the opening remarks for the event. Paul said, “LSBU is proud to be involved in such an important cause. Youth- violence is a wide spread problem across the UK, it needs the support of leaders in education, health and social care to collaborate on an approach that will enable change." One of the speakers included Ebi Lyere, who discussed how she became involved in the programme. Ebi has experienced first-hand the devastation that is caused by violence and now is using her experiences to help others who are going through similar situations. Ebi said, “This cause is very close to me, I’ve been affected by this issue since I lost my first friend to gang violence when I was 14. My hope is that we can reach the communities that need support my bringing together different services so ultimately, we can stop burying young people." There are six cross-party MPs acting as Commissioners to guide the work: Vicky Foxcroft MP, Chuka Umunna MP, James Cleverly MP, Mark Field MP, Greg Mulholland MP and Chris Stephens MP. All of them attended and spoke at the LSBU launch. 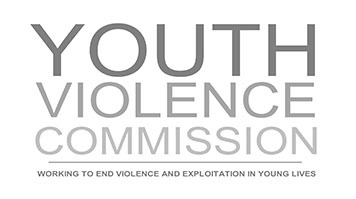 The Youth Violence Commission has been established to work with young people, communities and experts from around the UK to explore insights and public opinion and promote more positive role models in the community. Find out more about studying a postgraduate course at LSBU.